If your business is operating overseas then you may be asked for an apostille certificate for company documents. Overseas organisations may request a copy of your company documents before signing contracts or opening a bank account. 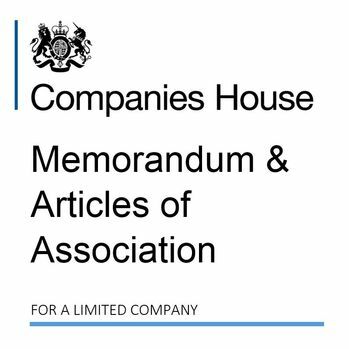 The memorandum and articles of association may be requested as evidence that your company is registered in the UK and to check the constitution of the company. For ONLY £66 we arrange for your Memorandum and Articles of Association to be issued with the apostille. Email documents or we can download from Companies House. Mem & Arts will be checked and certified by our solicitor. We issue the apostille in just 1-2 days. How to order an apostille for your memorandum and articles of association? Simply order the apostille and solicitor certification service online and post or email your document to us. Alternatively we can download them from Companies House. If you would like us to obtain the document on your behalf you can simply let us know the company registration number by email.